HAECO Hong Kong, a member of the HAECO Group, announced today that the company has introduced the ENVISION® nGen maintenance information system - a web-based digital platform developed by global aviation software solutions company Rusada - to support its engine maintenance operations. HAECO Hong Kong provides on-wing and off-wing engine maintenance services, including boroscope inspections and non-destructive testing (NDT) during airframe maintenance and light maintenance checks, at its hangar facilities at the Hong Kong International Airport. The company also offers engine services support to airline customers by sending dedicated teams to perform inspection and repair work on-site at any location in the world. 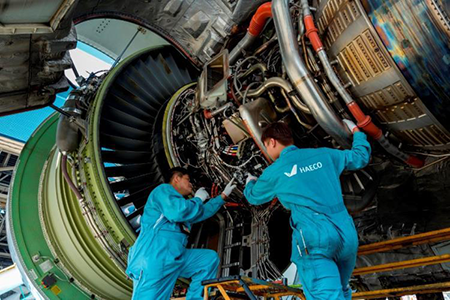 Rusada's ENVISION nGen technology enables HAECO Hong Kong to deploy a fully digital planning, operations and management process within its engine services division. The use of the maintenance information system helps reduce paperwork before and after the planning stage, saving one man-day for basic tasks and six man-days in the case of larger inputs. It also allows more accurate engine shop planning, which further enhances operational efficiency. The implementation of ENVISION nGEN will be performed by HAECO Hong Kong's in-house team and Rusada's experts in phases. In future, the platform will be enhanced to provide customer portals so that customers can access real-time information about the status of engines under maintenance. Patrick Wong, HAECO Hong Kong's Executive General Manager, Line Services, said: "We are delighted to have established a business partnership with Rusada while we are experiencing significant growth within our line of business. This end-to-end digital maintenance information platform will allow us to achieve operational efficiency as we grow, as well as continue to deliver high-quality service to our airline customers." Julian Stourton, CEO of Rusada, said: "HAECO Hong Kong wanted a partner to support their migration to a fully digital planning, operations and management technology platform within their engine services division. We take pride in our solid experience. 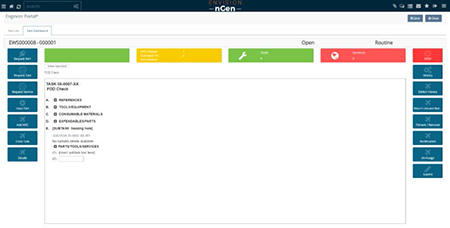 The intuitive ENVISION nGen solution is what has enabled us to be selected for this critical project." HAECO Hong Kong's mechanics performing on-wing engine maintenance work. Hong Kong for engine maintenance operations. Rusada is a global aviation software solutions company established in 1987 and headquartered in Switzerland. With operations in the Middle East, Asia, Europe and the Americas, Rusada supports 100+ major customers worldwide with software that manages more than 1,500 aircraft in 30 countries. The company's Envision software provides key management information and operational process control for operators, original equipment manufacturers (OEMs), maintenance and repair organisations (MROs), and service organisations.